We are pleased to partner with this community of engineers and computer scientists from Cairo. “Papers We Love” lectures are focused on academic research papers in the field of computer science. Each presenter discusses one research paper in detail, followed by lunch and discussion. This event, taking place August 11th, 4-7pm, will include two research topics: Dense-Captioning Events in Videos, and Classification of Online Debates. 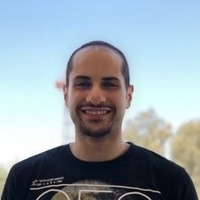 The meetup will be a great opportunity to meet fellow developers in the area, including Youssef Sherif, a Toptal developer and organizer of this meetup. Your message to Youssef was sent.